Being a ranch style home & detached block garage situated on a level 0.3 acre lot the home offers 3 bedrooms, full bath, living room & eat-in kitchen all on the main level. There are Natural wood floors in the bedrooms and living room. The Full basement has a block foundation, 200 amp breaker box, and concrete floors. The Home offers a nice layout and is ready for a new owner's remodeling & updating. 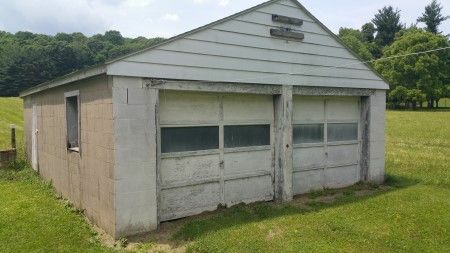 The detached garage offers 2 overhead doors, concrete floors and a work bench. According to Ross County Water, County water is available at the road. 1981 HARLEY DAVIDSON Motorcycle, engine cover reads 80 cubic inches, rear side compartments, showing 4,107 miles, 1HD1AAK1XBY016027, Date of Manufacture: 08/80. Real Estate Terms: $15,000 Minimum Bid; $5,000 down at time of sale cash or check, Balance & Possession due at closing on or before 10/08/2018, Offered free & clear prior to closing, Sold in As-Is condition, No buyers contingencies exist, taxes prorated to closing date. Personal Property Terms: Paid in full at time of sale cash or check prior to removal, Sold in As-Is condition, no warranties given, expressed or implied, removal day of sale. 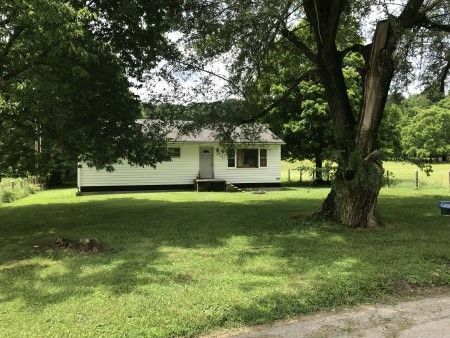 Taxes & Legal: Ross Co. Auditor indicates Net Annual Tax: $753.72; Parcel No. 340601075000; Clyde L. Adkins Estate RCPC Case No. 2017-E-260, Tracy A. Oyer, Executrix, Sherri K. Rutherford, Atty.